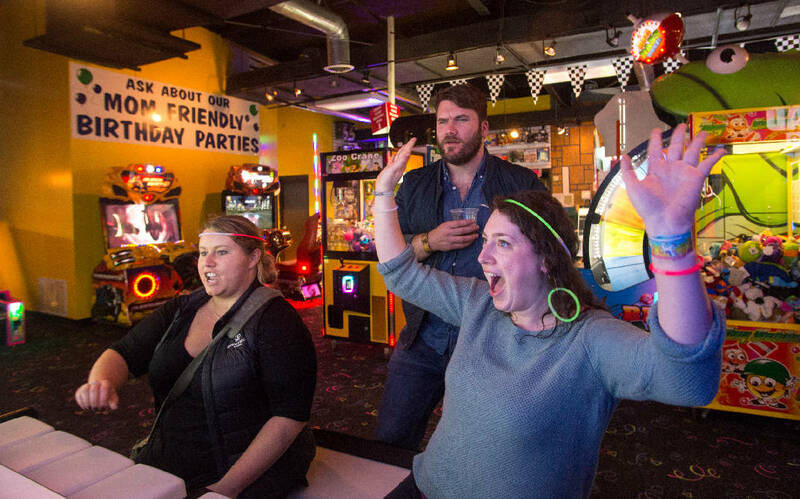 Melanie Berg (right) celebrates a win over Hillary Moore (left) as Tristan Beers watches. The rain wouldn't stop these Chattanoogans from reliving their childhood joys during Chattanooga Friends' inaugural Mini Golf Tournament held at Sir Gooney's on Nov. 8. The event allowed teams and individuals to compete for hole-in-one prizes, and featured food, drinks, dancing and arcade games. A philanthropic organization, Chattanooga Friends is dedicated to encouraging the next generation to become involved in giving back to their community. Since 2007, it has helped raise funds for local nonprofits such as Northside Neighborhood House and Siskin Children's Institute.